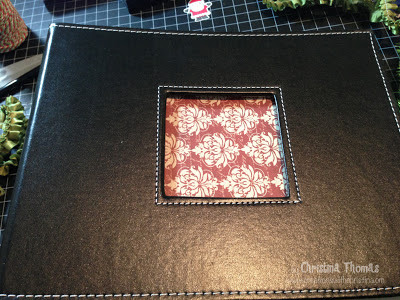 Today I'm sharing the front of my December Daily/Scrapbook album. You know I'm still torn on if I want to call it a December Daily or just make it a holiday scrapbook. I can't decide? 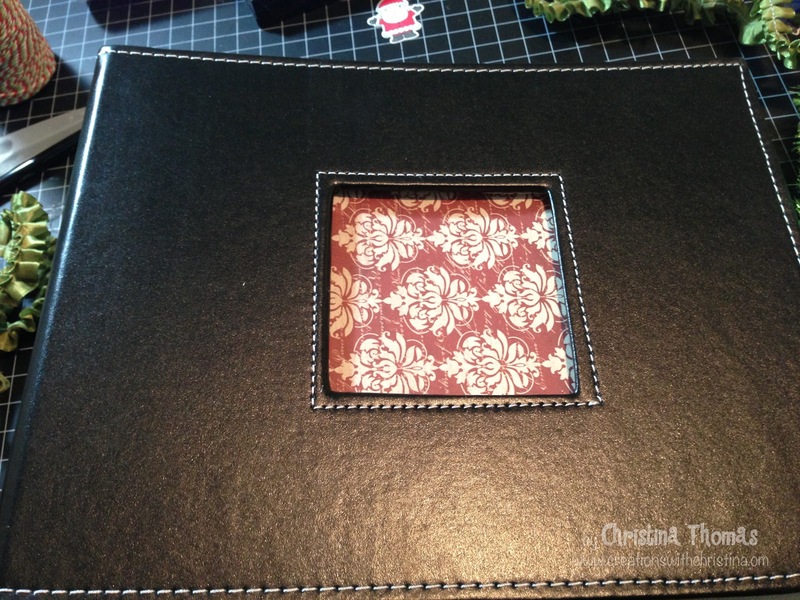 Here are a few pictures of my front cover. I added some pattern paper from the Teresa Collins Christmas Cottage 6x6 paper pad to the 4x4 picture slot. I'm going with the deeper reds and greens for my album. Next I used from old Thicker raw chipboard # stickers and glittered them up using some Martha Stewart smokey quartz glitter. It's probably one of my favorite glitter colors by Martha. At first I was going to put the #'s in the bottom right corner but changed my mind later. Next it was time to decorate the 4x4 slot. I removed the clear acetate sheet. 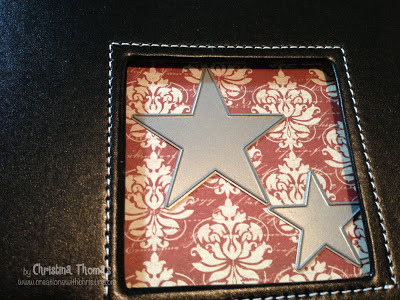 Using a Paper Trey Ink die set called "seeing stars" I cut out the stars using canvas that I picked up at Joann's. 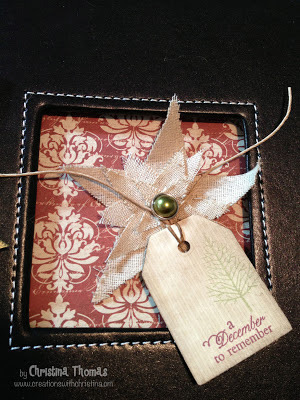 Added a brad from the Crate Paper brad collection and then finally stamped out "A December to remember" sentiment on a tag I picked up this past summer on our trip to New York. Here is the end result of the front cover of my album. I added the 2012 to the tag instead of the bottom corner and then a kraft button with some green twine to the ribbon. I'm really happy with how it came out. I'm off to work. I really want to stay home and play more with my album but alas I have two meetings today and need to get my boy off to school. I loved!!! Very beautiful!!! Thanks for sharing. LOVE IT!! 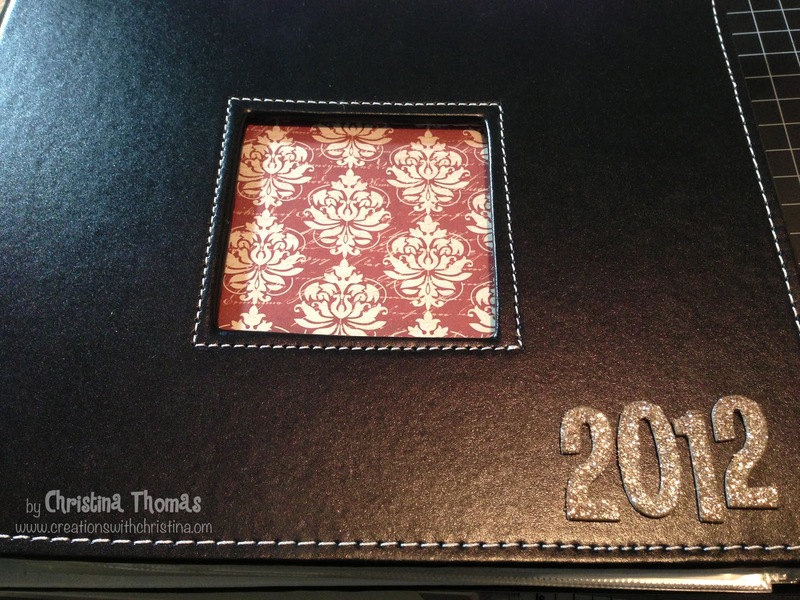 Totally inspired to do a December Daily album this year!! This turned out really great. I actually like the year numbers at the top with the tag too! Nice ribbon choice! Really pretty !! Can't wait to see the inside. Beautiful! 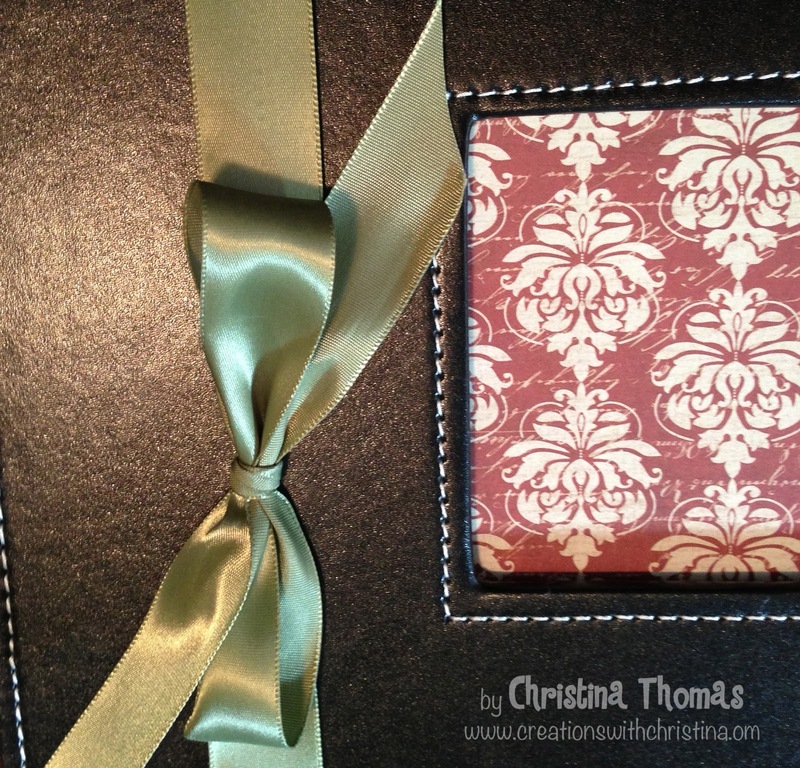 I'd like to make one of these albums for my son and daughter-in-law ~ I'd do the pages, and they'd just have to put in the pictures and journal. I ♥ IT SIS!!! It's spectacular!! Very, very pretty! Love it! This is beautiful. I love the vintage feel with the little punch of glitter. Thanks for showing it to us. Love the cover. 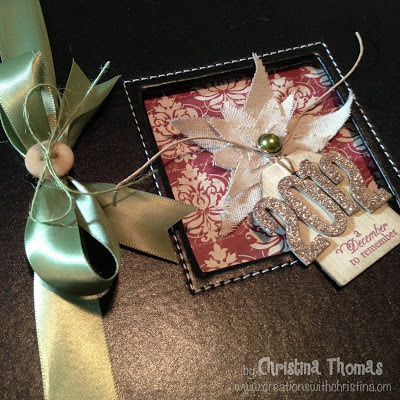 The fabric stars with the glittered numbers on the tag really bring it to life. Can't wait to see what goes inside. Love the cover. Just call it a Holiday Album. Don't put so much pressure on yourself calling it a daily. Have fun with it and if you get all of the days done you can change the name :) Christmas is going to be great this year I can feel it! I love the cover! So pretty. Maybe no title at all... Just a holiday word or image. Can't wait to see more!